For the past couple weeks, I (Dan) have been using PrayerMate for my morning devotions and prayers. It’s a great way to keep everything in one place, enabling me to pray through the Psalms and Charles Spurgeon’s Morning & Evening and my normal list of people and groups that I am praying for regularly. 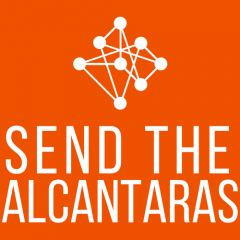 And now, you can pray for Send The Alcantaras in PrayerMate as well! We’ve set up a feed that will publish new prayer requests regularly. There are a couple of reasons why we’ve set this up. When we are on the field, the email newsletter (which you should definitely subscribe to) will be switching to a monthly schedule rather than weekly. This is due to ministry being both slower and busier than raising support. A monthly newsletter gives us the opportunity to focus on the work of being missionaries while maintaining regular communication with our ministry partners. As with all of life, things still happen in real time. There may be events that happen suddenly that will need to be prayed over and this gives us the opportunity to continue to do that without filling everyones inboxes with constant emails. There are a couple of ways that you can subscribe to the new prayer list. The best/easiest way is to download the (completely free, no ads or anything) app. Then, simply visit this link and you will be guided through the subscription process. This list also has an RSS feed so if you use something like Feedly, you can see prayer updates there as well. Previous Previous post: Where are we going?